Victims of the Holocaust are often blamed for yielding to the genocide like "sheep in the slaughterhouse" instead of standing up against their murderers. In Hungary from 1944 to 1945, conditions were not in place for armed Jewish resistance: the majority of potential fighters were not present, there was insufficient time to organise a movement, and there were no weapons or non-Jewish resistance movements that could have assisted Jews. Therefore the Zionists, who performed organised resistance, did not take up arms, but followed the tactics of bribery, hiding and forging in their battle against Hungarian and German Nazis. Click here to read more about the Holocaust in Hungary. Almost without exception, young and healthy Jewish men of fighting age were in labour-service camps under tight military guard. Children, the elderly, the sick, girls and women were not in a position to organise and execute armed operations. The destruction of the Hungarian Jews became the fastest "dejewification" program executed in the history of the Holocaust. Events unfolded at a breathtaking speed. The disenfranchisement and despoliation of the Jews was carried out within weeks, the ghettoisation began already on the 29th day after the German occupation, mass deportations followed within four weeks and were over in 56 days. The organisers of the Warsaw ghetto uprising (a total of 700 to 1000 young men and women in good physical condition) took up arms in the third year of the ghetto's existence, while the ghetto standing for the longest time in Hungary (the one in Budapest) lasted but seven weeks. In some other parts of Europe, revolting Jews could count on the support of local resistance movements to varying degrees, while in Hungary there was no substantial Gentile armed resistance that could have offered assistance to a potential Jewish-led uprising. In contrast to the armies of Yugoslavia, France or Poland, the Hungarian army did not disintegrate and thus they did not leave behind large quantities of weapons and ammunitions to be used by a resistance movement. Potential Jewish fighting organisations could not count on the support of the hinterland either, similar to that received from Moscow by various irregular troops operating in occupied Soviet territories. The majority of Hungarian Jews were law-abiding citizens. Most would never have contemplated refusing to obey the authorities of their native country, not to mention active resistance. Moreover, the situation of the Jews of Budapest, the last to remain intact by the end of 1944, fundamentally differed from those living in other East European territories. Urban uprisings in the East broke out when the Germans started the liquidation of the given ghetto (e.g., Warsaw, April 19, 1943; Bialystok, August 16, 1943; Czestochowa, January and June 25, 1943; Bedzin, August 1, 1943). The rebels were aware that their fate was sealed; the only question was whether they would perish fighting with arms in hand or in a death camp. In the winter of 1944/45 the Red Army was already besieging the capital, the defeat of the Nazis and the Arrow Cross was inevitable and thus the dilemma took a different form: to die fighting or survive playing for time. Consequently, Jewish groups that organised to defy the program of genocide chose different paths of resistance: negotiations, bribery, forging documents, providing hiding and assisting refugees. For the most part, these responsibilities were taken on by Zionist organisations. counting only a few thousand followers. Beginning in 1938, Hungarian Zionist groups received significant reinforcement from two sources. In parts of the areas returned to Hungary between 1938 and 1941 (e.g., in northern Transylvania) there were some powerful Zionist groups whose members, after obtaining Hungarian citizenship papers, moved to Budapest. Also between 1939 and 1944, thousands of Slovakian and Polish Jews fled to Hungary. The hundreds of young but experienced Zionists arriving with the waves of refugees soon took control over Hungarian Zionist groups that were weakened by conscription to labour service camps. While these two "transfusions" did not lead to a substantial growth in membership, the new arrivals managed to revitalize the local Zionist movement. They had precise information and no illusions: they knew exactly what awaited them following the German occupation. Their mentality differed from that of average Hungarian Jews; it never occurred to them to respect the law and obey orders. 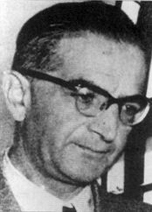 Zionist groups may be divided into two major categories: the "adults," who maintained good relations with international Zionist organisations (e.g., the Jewish Agency for Palestine), in some respects operating as their extension; and the more self-reliant and independent "youth"
(the Halutzim). These two large groups were connected by a number of personal and institutional ties, while simultaneously divided by many conflicts. The most prominent leader of the "adults" was Rezső Kasztner , who first held lengthy and still-debated negotiations with the Eichmannkommando and later with Reichsführer-SS Himmler's plenipotentiary, Kurt Becher. 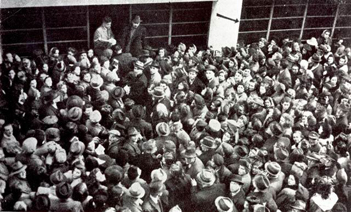 As a result of these talks and a payment of over 2 million US dollars, in late June around 1700 Hungarian Jews were allowed to leave for the safety of Switzerland through the Bergen-Belsen concentration camp. Between the end of July and the liberation, their headquarters was the "Glass House" in Vadász Street, Budapest. The story of the opening of the building for rescue purposes goes back to a Crown Council (Koronatanács - the joint council of the government and the Regent) held on June 26, when, under international pressure, Regent Miklós Horthy and the government gave its blessing for the emigration of some 7000 Hungarian Jews. The largest share of the quota was assigned to neutral Switzerland, which also represented countries at war with Hungary. Swiss Deputy Consul Carl Lutz had the responsibility to draw up the list of emigrants, and the glass wholesaler Artúr Weiss offered his Vadász Street property for the operation. At the end of June the Swiss Embassy opened its emigration office there, which, with Lutz's full knowledge and support, within months became the young Zionists' hiding place, base of illegal operation and centre for the distribution of forged documents. Those on the emigration list received a certificate (a protective pass) stating they were listed on a "collective passport", which, in theory, exempted them from discriminating regulations, i.e., eventually from deportation. "The news spread like wild fire", remembered Márton Elefánt (Mose Pill), "Thousands, perhaps tens of thousands stood in front of 29 Vadász Street to get a protective pass, at times filling the entire street, bringing normal traffic to a standstill. Many, perhaps most, came risking their lives, staying on the line even during the hours of curfew for the Jews, and stood before the gate without wearing the yellow star." the Arrow Cross militiamen recognized the Glass House's extraterritorial status for some time. Still, waiting in front of the building remained dangerous. The women's tailor V. R. was standing in line to get a pass in early November when "the Arrow Cross sneaked up and surrounded us; not many managed to slip out of the circle. They drove us like cattle and kept yelling: "we'll get you this time, stinking Jews!'." V. R. was first taken to the Óbuda brick factory and later to the concentration camp in Kaufering. not simply as an embassy, but a shelter for thousands", Mrs Weiss said in 1945. "Many people coming and going were seized on the street and soon the embassy building aroused the attention of the authorities." According to Mihály Salamon, "the developments of December 31 did not come as a real surprise to leaders; firing submachine guns and lobbing hand grenades, an Arrow Cross detachment burst into the building. The assault resulted in three deaths and seventeen wounded, and it was by mere luck that we managed to save the people already lined up on the street from being deported by mobilizing the city's military and police high command." However, the Arrow Cross returned the next day and they arrested and murdered Artúr Weiss, owner and director of the Glass House. Despite all of this, the majority of the residents lived to see the day of liberation. Three young Palestinian Jews with Hungarian ancestry and who were fluent in Hungarian wrote a special chapter in the history of Zionist resistance. They arrived in the country in June as parachutists of the British Army to organise the protection of Hungary's remaining Jewish population and gather intelligence for the Allies. The utterly hopeless yet undoubtedly heroic undertaking claimed two of their lives. Hanna Szenes was arrested immediately as she crossed into Hungary along the southern border, and she was executed by the Arrow Cross in November. Two of her companions, Emil Nussbacher and Ferenc Goldstein were also nabbed. Nussbacher managed to escape from captivity, while Goldstein lost his life in a Nazi concentration camp. Concerning the so-called "Kasztner case" see more in, for instance, Braham 1997, pp. 1023-1066 and Bauer 1994, pp. 145-260. About the Kasztner operation and its outcome, see Kádár-Vági, 2001, pp. 168-206, about the financial aspects of the transactions in the same place at pp. 211-219. Quoted by Ronén 1998, p. 33. On the activities of the Halutzim in detail see Cohen 2000, Ronén 1998, and Salamon and Benshalom 2001. On Lutz' activities see also Tschuy 2002. For Nussbacher's memoirs, see Palgi 2003. Yehuda Bauer: Jews for Sale? Nazi-Jewish Negotiations, 1933-1945. New Haven and London, 1994, Yale University Press. Rafi Benshalom: We Struggled for Life. 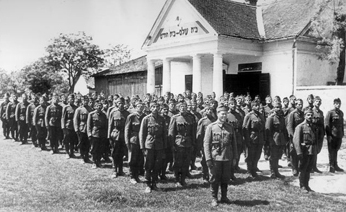 The Hungarian Zionist Youth Resistance during the Nazi Era. Jerusalem - New York, 2001, Gefen. Randolph L. Braham: A népirtás politikája - a Holocaust Magyarországon. (The Politics of Genocide. The Holocaust in Hungary.) Vols. 1-2. Budapest, 1997, Belvárosi Könyvkiadó. Asher Cohen: A haluc ellenállás Magyarországon 1942-1944. (He-halutz Resistance in Hungary 1942-1944.) Budapest, 2002, Balassi. Gábor Kádár - Zoltán Vági: Aranyvonat. Fejezetek a zsidó vagyon történetéből. (Gold Train. Chapters from the History of the Jewish Wealth.) 2001, Budapest, Osiris. Yoel Palgi: Into the Inferno. The Memoir of Jewish Paratrooper Behind Nazi Lines. 2003, New Brunswick- New Jersey - London - Rutgers University Press. Ávihu Ronén: Harc az életért. Cionista (Somér) ellenállás Budapesten 1944. (Fight for Life. Zionist (Shomer) Resistance in Budapest 1944.) 1998, Budapest, Belvárosi. Mihály Salamon: "Keresztény" voltam Európában. (I was "Christian" in Europe.) Tel Aviv, Népünk Kiadó. Theo Tschuy: Becsület és bátorság. Carl Lutz és a budapesti zsidók. (Honor and Bravery. Carl Lutz and the Budapest Jews.) 2002, Miskolc, Well-PRess.